Floating shelves are wall shelves that fix to the wall without any visible fixing or supports, so appear to float on the wall. Because of their light and streamlined appearance, they have become an increasingly popular fixture in contemporary homes. How do floating shelves work? The shelves fix to the wall using either brackets or screws. Once the fixings are attached, the shelf then slides onto or over them (depending on the design) to be held securely in place. Can you hang a floating shelf onto any wall? 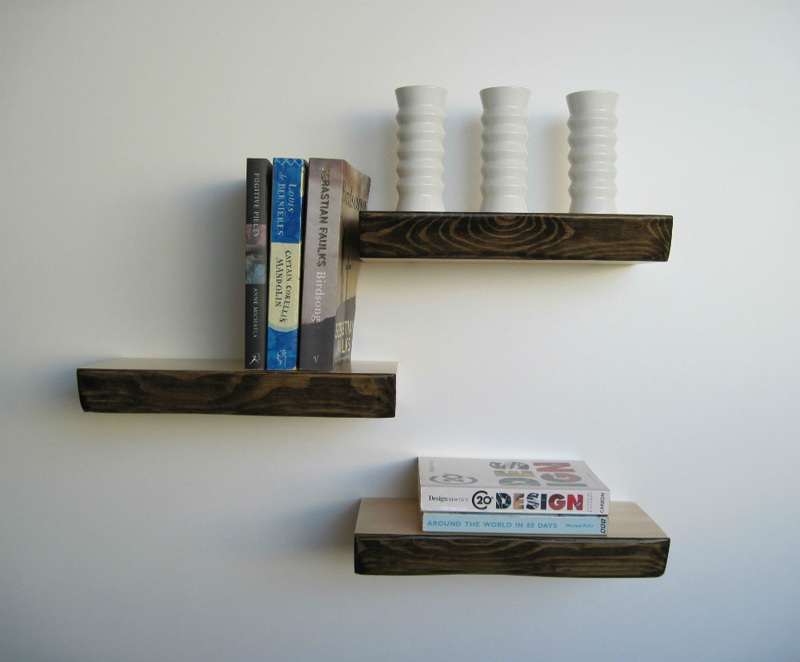 A floating shelf can be fixed into wood studding, onto brick or concrete walls. They aren’t generally suitable for plasterboard walls. If in doubt, always consult a professional first. The clean lines of this type of shelving makes them a good choice for a modern interior or if you want to give your home a more minimalist look. Use them to add decoration to your room by displaying your favourite accessories, a prized collection, plants and artwork. Our Picture Ledge Floating Shelves are especially designed for displaying wall art and mean you can change your display easily and as often as you like without having to knock in new nails into the wall each time. A floating shelf can also be used as decoration in and of itself. If you love Scandinavian design – which is so on trend right now – the addition of some wooden floating shelves onto white walls is an easy way to channel some of that stylish Scandinavian vibe. And they will look just as good whether you fill them or leave them empty. In fact leaving some space or even a whole shelf blank can help create the appearance of a more spacious room. In addition to adding style to your home, they are also a practical way to give you handy extra storage space. Hang them on your living room walls or in an alcove to store books. Make an open shelving display in your kitchen of your favourite dishes and mugs. Get creative and use one as a floating console table for your hallway, or how about as bedside tables? If your bedroom is small and there isn’t much room for a standard size bedside table, a floating shelf – or a series of them – can be the ideal storage solution next to your bed. Would you like to take a look at our selection and buy floating shelves now?